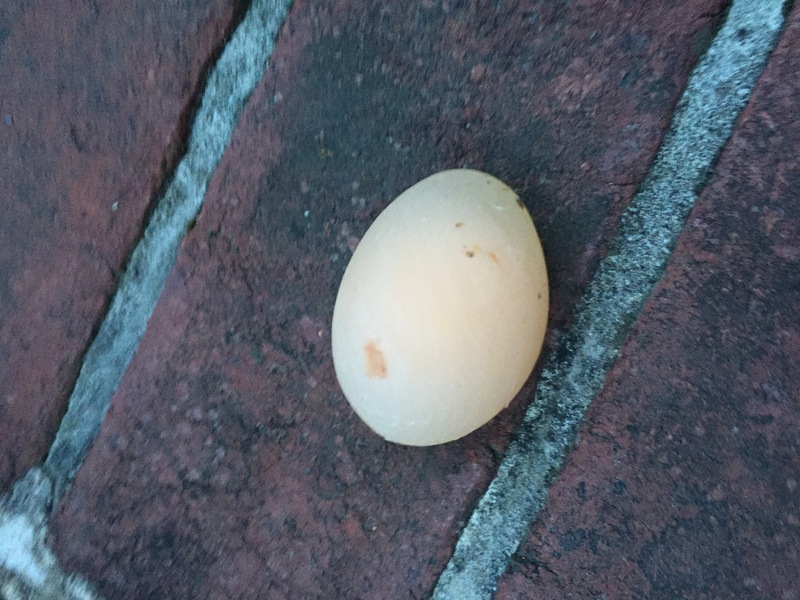 One of our hens laid another mystery egg last week. 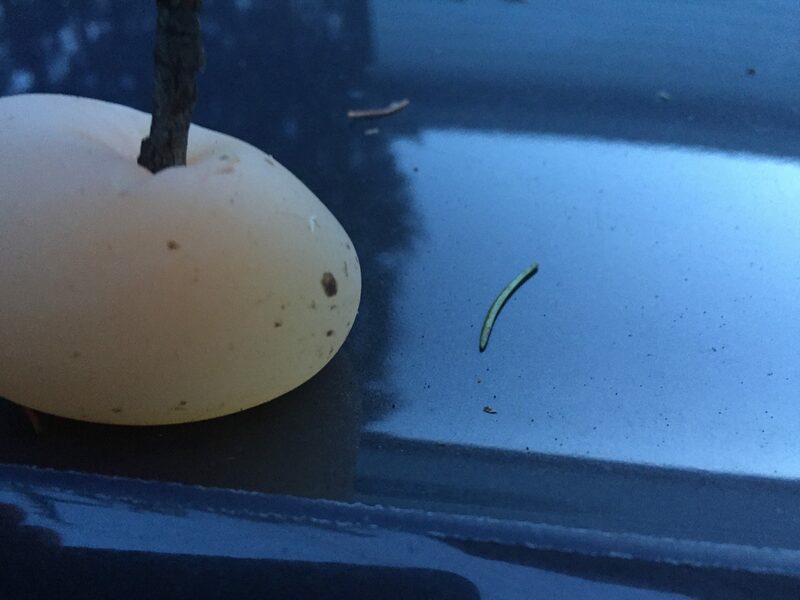 At first glance, the egg looked relatively normal other than being slightly more translucent than usual. However, it didn’t feel like a normal egg. See the below picture for how the side of the egg would indent and bounce back in response to pressure. Mystery egg bending in response to pressure. What was inside the mystery egg and what was the cause? After a few weeks in the chicken tractor (see http://www.luckypennyacres.org/2016/06/26/baby-chicks-venture-outside/), the baby chicks were old enough to merge into the main flock. To help the integration process, we put the chicken tractor inside the main field where the main flock spends most of its time so all of the chickens could see and get used to the cochins before we merged them together. We first introduced them into the main coop late in the evening when it was already after sunset and all of the chickens were roosting. Chickens are mostly asleep / zoned out while roosting so the older chickens didn’t make a big fuss and we were able to place the young chicks on the roost bars without any issues. The chicks were also mostly asleep at the time, but the next morning they took the opportunity to explore the coop. Click through to read more about their integration into the flock. One night, I was woken up at around 3 am with a loud noise (similar to a thunder clap) followed by a loud crash. 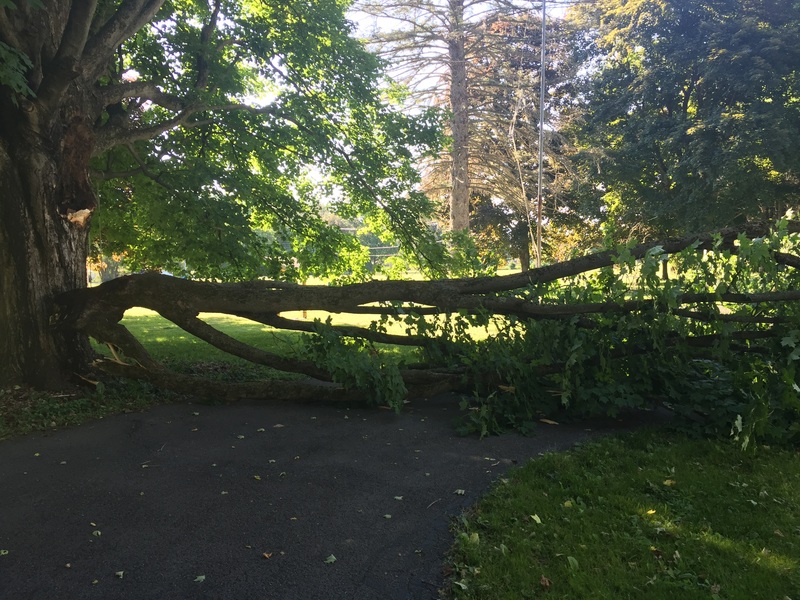 Just outside the house, a large chunk of one of our old maple trees broke off the main portion of the tree and fell onto the driveway. A large piece of one of our old maple trees broke off in the middle of the night. With a scheduled meet-up happening at our house about a week later, we had limited time to remove the tree and clear the driveway to provide enough parking spaces. Click through to see how we finished the process.